'ଭାରତୀୟ ସିନେମାର ଜନକ' ବୋଲି ଅଭିହିତ କରାଯାଉଥିବା ଦାଦାସାହେବ ଫାଳକେ ଭାରତର ପ୍ରଥମ ପୂର୍ଣ ଦୀର୍ଘ ଚଳଚ୍ଚିତ୍ର ' ରାଜା ହରିଶ୍ଚନ୍ଦ୍ର' ନିର୍ମାଣ କରିଥିଲେ ୧୯୧୩ ମସିହାରେ . A composer, singer and actor, Mullick began his career providing background music by conducting live orchestras during the screening of silent films. He is best known for Mahishasuramardini, a radio musical composed in 1931. Bengali Considered one of the founders of Bengali film industry, Ganguly debuted as an actor in Bilat Ferat (1921). He established three production companies - Indo British Film Company (1918), Lotus Film Company (1922) and British Dominion Films Studio (1929) - to direct several Bengali films. 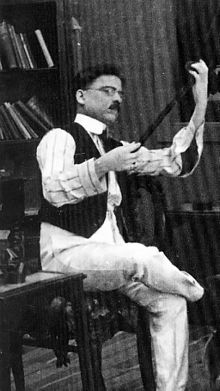 A cinematographer, director and screenwriter, Bose is noted for introducing playback singing to Indian cinema in 1935 through his Bengali film Bhagya Chakra and its Hindi remake Dhoop Chhaon. Considered one of the pioneers of Indian film music, Boral was a music director who, in collaboration with director Nitin Bose, introduced the system of playback singing in Indian cinema. An actor and film-maker, Modi is credited with bringing Shakespearean classics to Indian cinema and was noted for his delivery of Urdu dialogue. Initially having worked as a body double, actor-director Jairaj is known for his portrayal of Indian historical characters and was involved in instituting the Filmfare Awards. Actor-director-producer L. V. Prasad has the distinction of acting in the first talkie films produced in three languages: the Hindi Alam Ara, Tamil Kalidas and Telugu Bhakta Prahlada, all released in 1931. He founded Prasad Studios in 1965 and the Colour Film Laboratory in 1976. Prasad Studios has produced over 150 film in various Indian languages. Having acted in the first Marathi-language talkie Ayodhyecha Raja (1932), Khote is considered a pioneer among women in Indian cinema. She set up two production companies, Fact Films and Durga Khote Productions, which produced short films and documentaries. Actor and film-maker V. Shantaram produced and directed India's first colour film, Sairandhri (1931). He also produced and direct the first Marathi-language talkie, Ayodhyecha Raja (1932), and was associated with nearly 100 films over 50 years. Widely credited as the "nightingale of India", playback singer Mangeshkar started her career in the 1940s and has sung songs in over 36 languages. A playback singer of "extraordinary range and versatility", Bhosle began her singing career in 1948 and is acknowledged by The Guinness Book of World Records as the "most recorded artist in music history". Film-maker Sinha debuted as a director in 1954 and made more than 40 feature films in the Bengali, Hindi and Oriya languages. Most of the films addressed problems faced by ordinary people. In a career spanning over five decades, playback singer Dey sang over 3500 songs in various Indian languages. He is also credited with "pioneering a new genre by infusing Indian classical music in a pop framework". Film-maker K. Balachander debuted as a director with Neerkumizhi (1965). He made more than 100 films in various Indian languages through his production house, Kavithalayaa Productions, established in 1981. ↑ Gulzar, Nihalani & Chatterjee 2003, p. 632. ↑ Gulzar, Nihalani & Chatterjee 2003, p. 593. ↑ Gulzar, Nihalani & Chatterjee 2003, pp. 36, 41, 231. ↑ Gulzar, Nihalani & Chatterjee 2003, p. 552. ↑ Gulzar, Nihalani & Chatterjee 2003, pp. 262–264. ↑ Gulzar, Nihalani & Chatterjee 2003, p. 590. ↑ Gulzar, Nihalani & Chatterjee 2003, pp. 501, 502. ↑ Gulzar, Nihalani & Chatterjee 2003, p. 253. ↑ Corliss, Richard (19 January 2010). "Great Performances: Raj Kapoor, Awara". Time. Archived from the original on 15 April 2014. Retrieved 9 June 2014. ↑ Gulzar, Nihalani & Chatterjee 2003, pp. 269, 470, 548. ↑ Gulzar, Nihalani & Chatterjee 2003, pp. 492, 494, 592. ↑ Gulzar, Nihalani & Chatterjee 2003, p. 532. ↑ Gulzar, Nihalani & Chatterjee 2003, pp. 495–500. ↑ Gulzar, Nihalani & Chatterjee 2003, pp. 505–509. ↑ Gulzar, Nihalani & Chatterjee 2003, p. xvi.